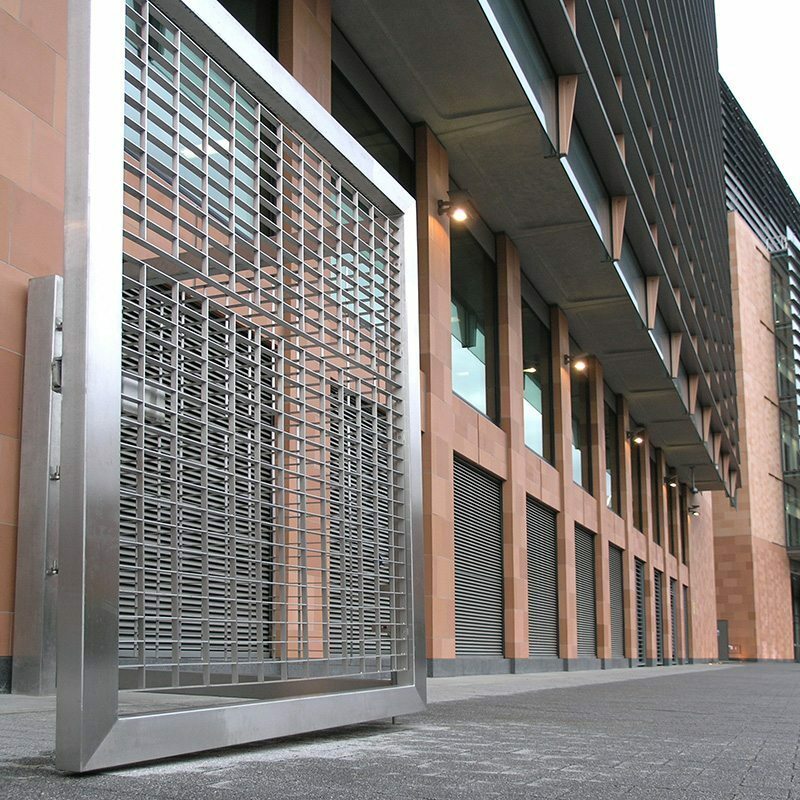 A prestigious stainless steel gate, which complements the architectural detailing of the building, has completed the perimeter security at the Francis Crick Institute. The 10 metre wide gate was made up of two bi-folding leaves and a separate pedestrian entrance with push pad panic latch. Infill panels of DemiMetro-66 grating, with a robust 30x4mm bearing bar, were bolted within a 120x80mm RHS frame. 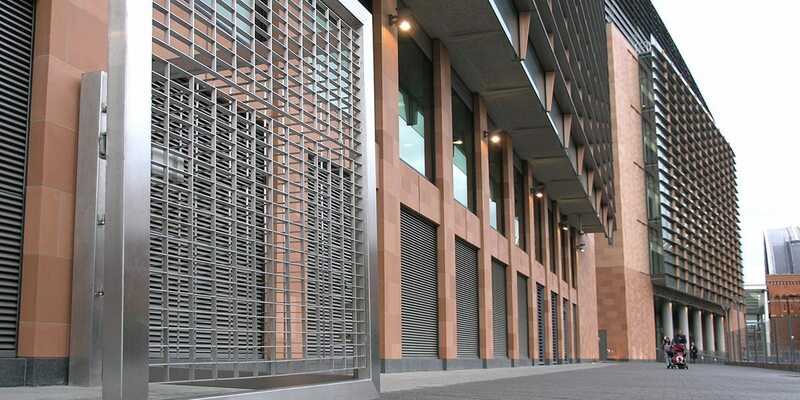 The gate was made from marine grade stainless steel AISI316 with a brushed finish (240 grit).